Today, we are rolling out updates for the OneNote Class Notebook add-in, including new Learning Management System (LMS) and Student Information System (SIS) assignment and grade integration for Edsby. To see the full list of over 40 committed education partners, please visit our OneNote Education Partners page. This page also has helpful training videos demonstrating how the OneNote Class Notebook integrates with each of the different LMSes. Read on to learn what’s new in OneNote to help you in the classroom. Assignment and grade integration with Edsby. Schoology assignment and grade integration improvements. Skooler assignment and grade improvements. 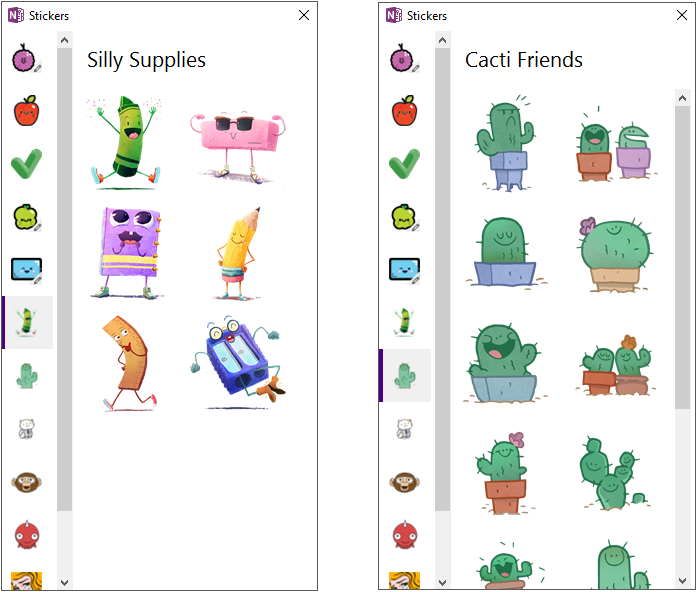 One of the most popular education features we’ve added to OneNote over the past year has been stickers! We’ve seen teachers use and customize stickers in lots of fun and personalized ways. 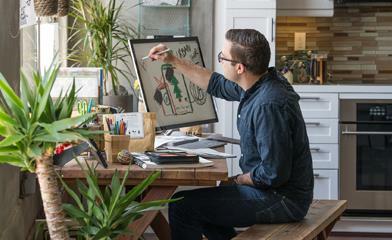 Today, we are launching two new sticker packs: Silly Supplies and Cacti Friends. Improved Syllables accuracy for English. Added Syllables functionality for four new languages—French, German, Italian and Spanish. Improved word detection and highlighting for Chinese and Japanese. Transition to HelpShift for Support email. Noun, verb and adjective highlighting will be coming to Spanish, French, German and Italian later this summer.